The tutorial for installing ClockworkMod recovery on Xperia Ray is now available, as well as how to root. You can install ClockworkMod recovery on Xperia Ray ST18i / ST18a with x-Parts CWM Installer with the tutorial given below. This ClockworkMod recovery would help you later update to Android 4.1.1 Jelly Bean custom ROM. In this tutorial, we will tell you how to install ClockworkMod recovery on Xperia Ray on Android 4.0.4 ICS firmware with complete steps and instructions. You will have to backup all your data in the phone as a precaution. This tutorial works with Sony Xperia Ray with locked/unlocked bootloaders. Let’s get on with the tutorial now. Make sure you have installed all your USB drivers for the Sony Ericsson Xperia Ray to connect it with the computer. 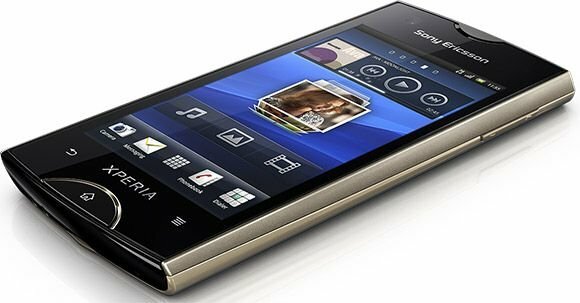 Download Sony Ericsson Xperia Ray USB drivers! Apart from just the USB drivers, there are a few more things that you need to take care of. 1. You need to enable USB debugging mode. This helps to connect your Android phone with the PC. See here: How to Enable USB Debugging. 2. Your phone battery should be 80-85% charged. If your phone goes off suddenly because of battery, during flashing ROMs or installing mods and updates — your phone might go dead permanently. See here: How to Check Battery Percentage. Backup APN Settings: GPRS, 3G, MMS Settings. 4. Your phone should be factory unlocked. Additional instructions for locked Android devices will be added in the tutorial for unlocking devices. Now, let’s proceed with the tutorial on the next page and install ClockworkMod recovery on Xperia Ray ST18i / ST18a with x-Parts.